Avoid intake, alcohol, and smoking, exercising or bathing for 30 minutes previous to taking a measurement. 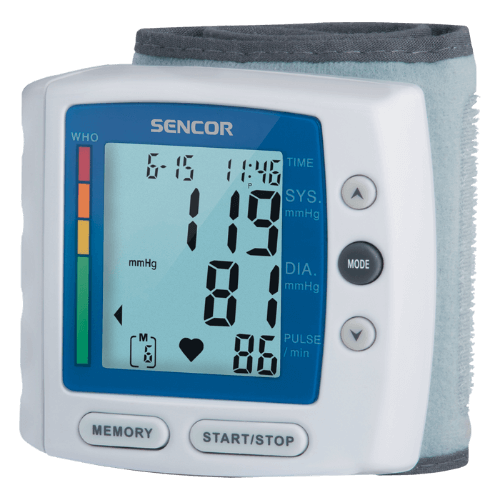 When you want to measure your blood pressure condition so take a rest of 15 minutes. Avoid taking a measurement while stressful times. Wrist B.p apparatus SBD 1680 Digital display inch screen gives you superior user experience. Wrist B.p apparatus SBD 1680 Digital display consists of the large display. Continuous real-time heart rate checking and measurement of blood pressure. The Wrist B.p apparatus not only record your exercise routine data such as steps, calories burned, distance, also regularly and automatically monitor your sleep quality during the night. It can help you grow a good habit of taking care of yourself.